In July alone, 1560 High School Special volunteers from all over the world are spending their school break volunteering with Projects Abroad. With such a large number of volunteers, we are making huge strides towards achieving our global goals and are already seeing some exciting successes from the efforts of our High School Special groups. For Projects Abroad, High School Special volunteers make June to August our busiest time of the year. 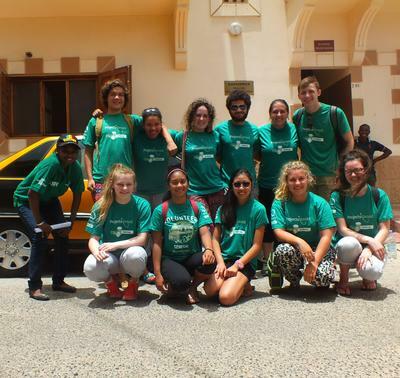 These organized group projects are specifically for 16-19 year olds who want to volunteer abroad on a short-term basis during their break, while still leaving a lasting impact. For this reason, each group of High School Special volunteers is given specific objectives to work towards during their time at the placement. “Their combined efforts enable them to make a significant difference in a short space of time,” says Jenny Puyo, the Projects Abroad Head of Program Development. Volunteers joining the Care High School Special Project in Nepal successfully completed paint work in schools in the Kathmandu Valley. Volunteers have given classrooms a fresh coat of paint and educational murals are now decorating the walls. “Since January 2017, the different High School Special groups have already completed 40 classrooms, including desks, benches, doors, windows, and murals,” says Navin Amatya, Deputy Country Director of Projects Abroad Nepal. These efforts improve the learning environment for local children and murals serve as learning tools, helping us to achieve the literacy and numeracy goals set out in our Care Management Plan. In 2016, our High School Special volunteers built 50 classrooms, painted over 50 educational murals worldwide, planted 1500 trees, collected 290 kg of rubbish during clean-ups and held 145 health care outreaches that benefited 8000 people. With the impressive successes of our 2016 High School Special groups, we anticipate even more progress this year. “With increasing numbers of High School Specials volunteers, we can definitely hope for a greater impact this year than last year!” says Puyo. Our High School Special Projects run until the end of August, so there’s still time for you to sign up and become a part of a global network of volunteers, all working towards long-term goals that leave a lasting, positive impact on communities and eco-systems across the world. 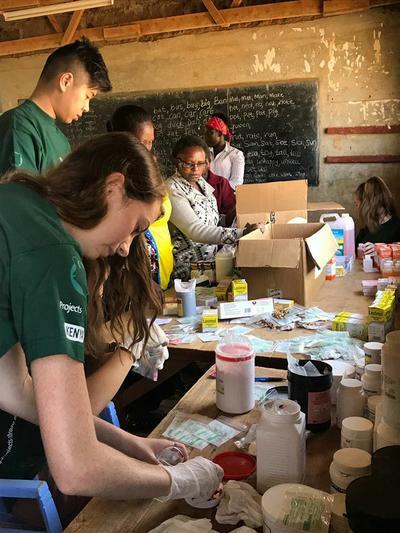 Visit our High School Special Projects page and become a part of an international community of young volunteers making a difference across the world.